For the first time in 2019 on January 18th (Fri), the SINKA party will be held by SINKA RECORDS, as they continue to deliver cutting edge dance music from Japan to the world. Up until now, they have invited many hard to book artists such as KRYDER, TOMSTAAR, D.O.D., and TEAMWORKS, and have brought a lively vibe to WOMB. 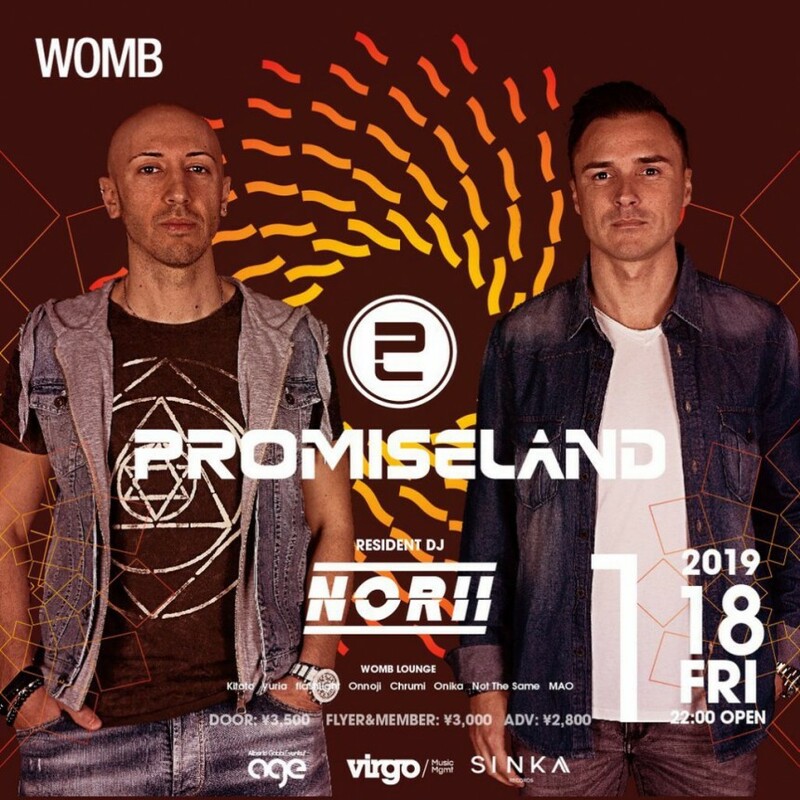 This event’s special guests are PROMISE LAND, an Italian duo standing at the forefront of the dance music scene who are coming to Japan for the first time!! Resident DJ NORII performs all over the country, as well as abroad at events such as Ultra Europe and ADE, and is currently delivering real music to the world. And on the main floor, Sapporo-based DJs will be performing. Don’t miss out on SINKA, the hot topic in 2019!